Why are we acting like we can’t just sign someone to be at least as productive as he’s been while also picking up a decent draft pick. He’s going to get 14 mil, he is nowhere worth it, and we can find better DTs around the same age that hit the open market. He just is nowhere near as good as he was advertised and the scheme and the double team BS is exactly that. If this were the Pats, Leo is getting traded. He was in 4-man frontsplenty of times in Bowles defense, and we keep arguing how irrelevant scheme really is because of how many different looks we show, but we love to bring up scheme when it comes to Leo because it’s convienent to arguing to keep him. I’m not buying it. I respect your opinion and your point here but if we are looking at Leo as a football player, he’s a good player but not a 14 mil a year player and I find him very easily replaceable. I predict that his production won’t be significantly better enough to warrent this 5th year option. I guess at the end of the day we can wait and see and just tag him and trade him if he doesn’t end up working out. I just feel like we can fill his void this offseason and still get a very useful pick. That’s my stance personally. Here's the problem: many teams feel the same way. Why would someone trade a premium pick and take on a $14.2m cap hit when they can go out and sign Grady Jarrett, Sheldon Richardson, Henry Anderson, Gerald McCoy, Ndamukong Suh, etc.? The only reason why would be because they feel Leo has a higher ceiling than those players, and they would be willing to sign him to a long-term extension now. We're not trading Leo. Honestly, it makes little sense. He won't be 25 until June. He is a top 20 interior DL with the potential to be a top 10 player at his position. He's finally playing in a scheme which is most conducive for him. Jets owe it to themselves to let it play out, and if they still want to trade him slap him with the franchise tag and do it next year for a 3rd round pick. This is one of the few times I disagree with you, if we keep playing him at DE then you are right, But if they move him to DT it will be a whole different story. But if they more him to DT, he could become the best DT in the NFL. What a push we would get in the center of the D line from him because he is so powerful player he would disrupt any teams offensive line. We wasted three years by playing him at DE, he is just no quick enough to be a edge rusher. Just an FYI, he's not becoming the best DT in the NFL. This guy Aaron Donald exists, so that is kind of off the table. How do you know?? 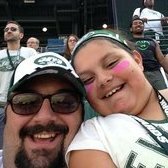 He has never played DT with the Jets, as a DE, he is rank 53 in the league. So we all can agree that Jets need more talent. I think we can all agree that Leo is talented, young and with better coaching has a chance to harness that talent. With all that said why would anyone promote a trade of him that this point? We won't be getting a premium pick. We have plenty of cap space. And we can't predict we can get someone better than Leo or with his upside. And if we could, why not have that player and Leo? Mostly because he has played all over the line with the Jets in both 3 and 4 man fronts. Also you can put Aaron Donald in any formation, anywhere on the line and he is going to produce big time, coaching and scheme can only hold back a truly great player SO much. Leo would have to be being held back a ridiculous amount for a slight switch in his usage to make the difference. You might think Leo is getting doubled a lot since he is playing in a 3-4, but Aaron Donald got doubled at an even higher rate while playing in a 4-3 and still lit the world on fire. Saying that a slight scheme change would make Leo a 20+ sack guy is madness, or extreme homerism. I agree, we definitely need more talent, 100% true. However, it needs to be drafted. If a team offers us a good deal we would be regretful not to listen to it. We are now paying him like one. Leo was drafted by us. We also will regret not taking care of the players we drafted and are model citizens. Leo is young and still has upside. Not smart to trade him at this point. Or because they can't afford to keep them at a premium and we can. Listen at the end of the day, i dont dislike the player nor think hes not very good, I just am exploring options that financially make sense and get us more draft picks.